Earth is a home to incredibly beautiful natural sites. Because of climatic changes and human carelessness some of them are in danger of disappearing in the next 100 yrs or even sooner, whether it’s the rising sea levels, torrential monsoons or melting glaciers, climatic change is rapidly altering the landscape of out planet. Some of the world’s most awe-inspiring sights are threatened by encroaching development and climatic changes. Man could disappear in our life time. Here are few of the world’s most scenic places that could disappear in the next few decades. MALDIVES: A vanishing paradise is known for its ultimate honeymoon destination. The Maldives is expected to be swallowed by the ocean in the future. 1190 tiny islands and atolls in the Maldives is the lowest lying country in the world making it particularly susceptible to a rise in the sea level. Most of the country roughly is 4 feet above sea level and many inhabitants live along the coast. Some of the coral island with their stunning white sand beaches is just 5.9 feet above sea level creating a threat from global warming. If at all the sea level continues to rise, the Republic of Maldives will be the first nation to disappear into the ocean. European Alps: it took a long time for the earth to create the Alps. This is the best place to ski because of the high peaks and endless runs of the European Alps. The dream of skiing on the alpine snow is going to decrease slowly. Why not visit the Alps and hop on the Gondola sooner rather than later, because the Alps are at a lower altitude than many other mountain ranges. They are more prone to global warming and temperature are increasing at more than twice the global average, some prediction are that the glaciers will only last until 2050 before they disappear. Venice Italy: the Italian city is considered as one of the most romantic cities in the world. It is also known as city of canals. With increasing severe floods each year could leave Venice uninhabitable by this century end. The 118 small islands that make up the city of Venice shave been sinking for centuries. , The rising sea levels have caused many to wonder how long the floating city will stay afloat. In the next 20 yrs from now there won’t be any gondola rides, no more cozying up in the water canal, no more romantic evenings in the water. The loss to the romantic world will be irreplaceable. Fiji Island: the surging tides have already forced some villagers to move away from their homes in Fiji. 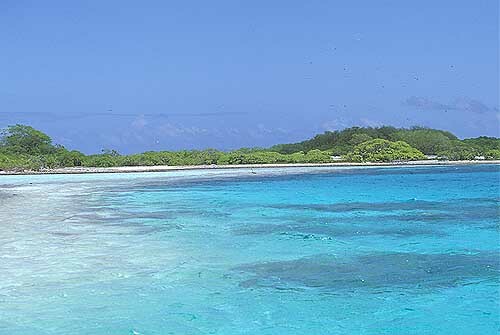 It is a collection of 800 or so volcanic and coral islands. There is one village called Vunidogoloa, where it had to be moved a mile up onto a hill after it started sinking into the Pacific. Villages such as Nukui and Vunisavi are also under the threat of disappearing. Republic of Kiribati: Kiribati is a nature lover’s paradise. Villagers in the small town of Tebunginako are ready to relocate after rising sea swallowed their home. Kiribati which is between Hawaii and Australia has already seen most of its population move to the island of Tarawa due to the land disappearing into the sea. The Seychelles: it is a popular destination especially for honeymooners or paradise seekers. Areas that are covered with trees are now beaches, the trees toppled by the ever advancing waves. Local are noticing their beaches shrinking, tourist cramming in to smaller and smaller areas as the land continues to disappear the approaching water. The islands of the Seychelles are slowly vanishing because of the erosion of the beach. They’re in danger if they are completely found disappearing in the next 50 to 100 years. It is just matter of time before the beautiful Seychelles Islands are gone. The Great Wall of China: it is the largest man made structure in the world. The Great Wall of China has survived for over 2000 years. Over farming and air pollution are the main reasons for turning the heritage site into just dilapidated ruins. Nearly two third of the wall has been damaged. The wall could be reduced to ruins by erosion in a little as 20 years. Do visit these amazing places before they vanish.